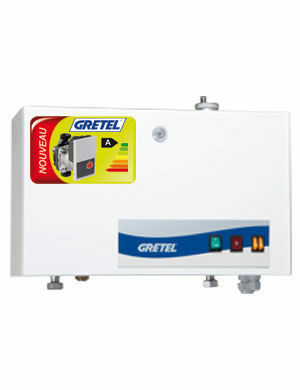 The wall mounted electric boiler MINI can equip any central heating circuit water circulation and comes in two versions: radiators (R) or underfloor heating (LT) from 3 to 6 kilowatts in single or three phases connection. 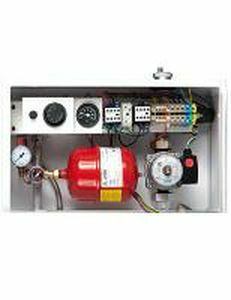 With reduced dimensions (13x21x9 inch) and low outputs 3/4 inch Female, the electric boiler MINI is complete and allows easy installation anywhere in the home. 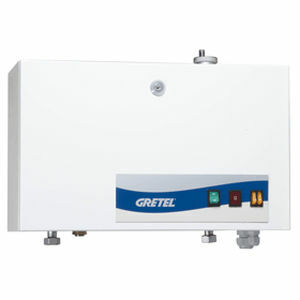 A full range of options and control accessories can be associated with this boiler to optimize performance and ensure comfort, economy and life of components (regulation, programming, load-shedding, ...). His heater in COPPER guarantees extreme corrosion resistance for some longevity. Its design gives it excellent close to 100% efficiency and quiet operation.